Hello! 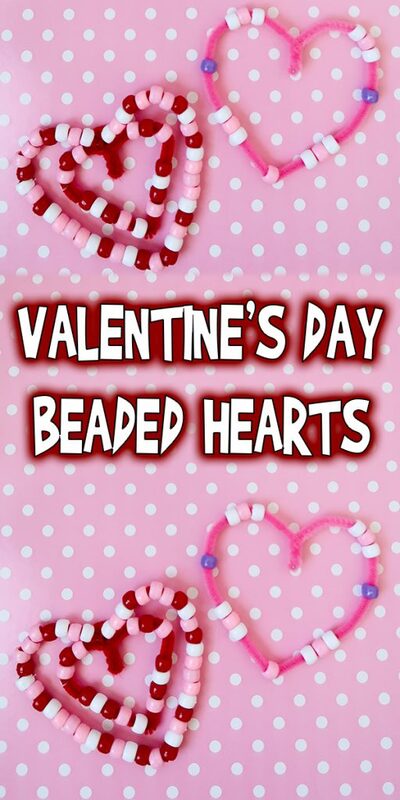 Today I have a fun Valentine’s Day Beaded Hearts project for you! 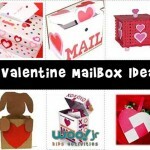 You can attach ribbons to make these into decorations, or even use them to decorate your Valentine’s card boxes. 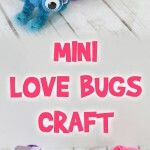 These are a great craft to do during a class party as well, because it only takes two supplies. Here’s what you’ll need to make them. 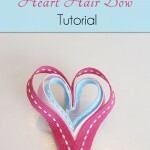 Today I’m going to show you how to make two different designs, and both start with this basic heart shape. 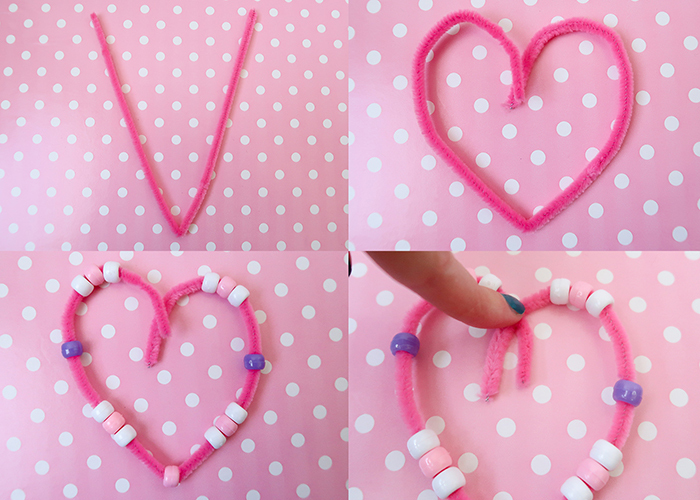 Take a pipe cleaner and bend it in half, making a V shape. 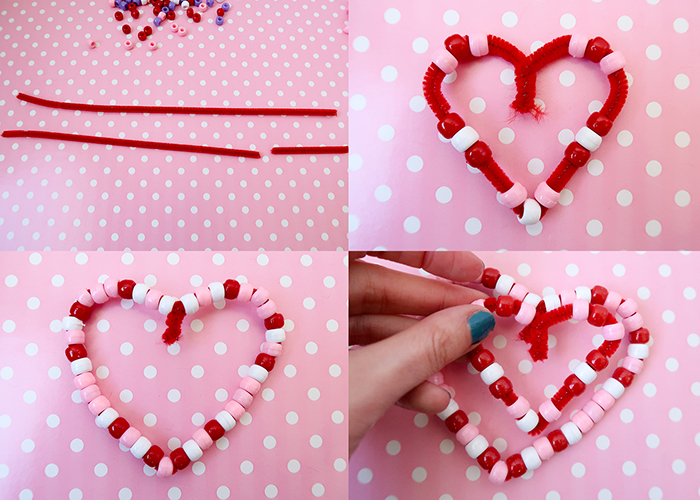 Then take the ends and curl them in to form a heart shape. 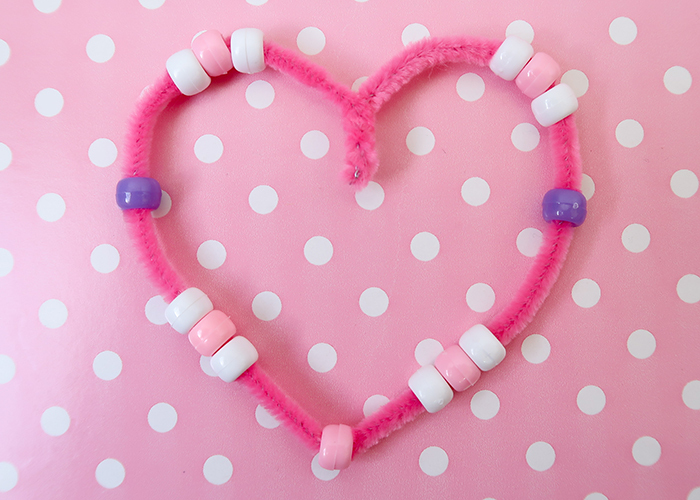 Go ahead and decorate your heart with your beads. 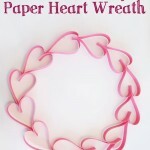 Then cross over the ends of the pipe cleaner, and twist them together to form a heart shape. Here’s what it should look like when you’re all done! Take your time and adjust your heart shape until you’re happy with it. The great part about working with pipe cleaners is that you can reshape them as much as you need. Now let’s make a double heart! Take two full length pipe cleaners, and cut about 2 inches off of one of them. Throw that bit away. 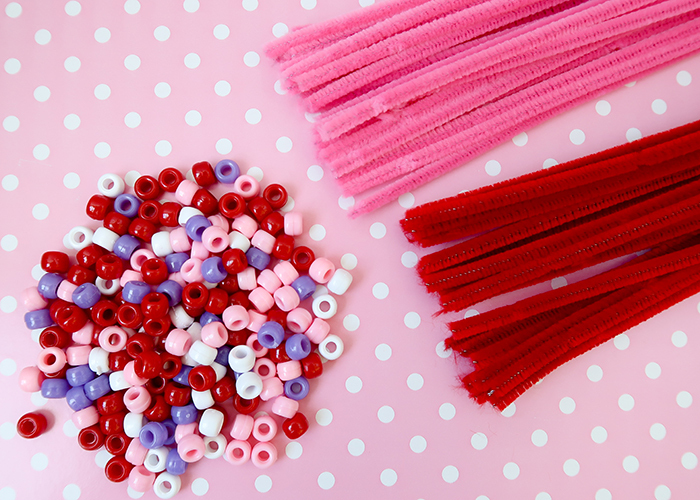 Next, take both the long and shorter pipe cleaners and make basic hearts out of both of them. 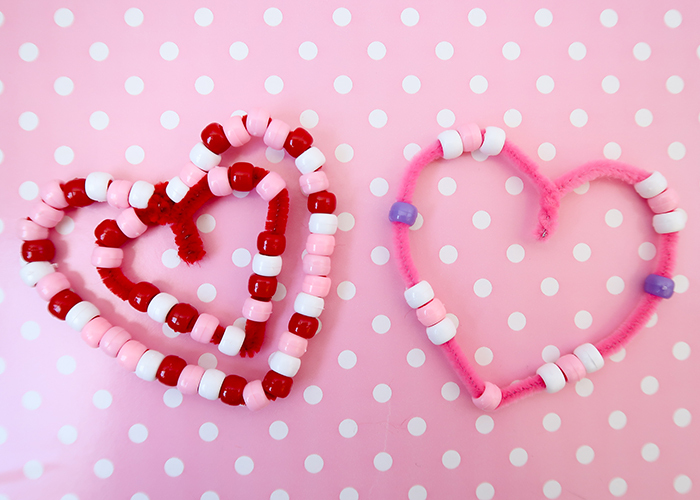 Don’t forget to decorate them with your beads! To turn it into a double heart, stack the small heart on top of the big one. Now take the twisted part of the large heart, and twist it around the top center of the large heart. This joins them together to create a double heart. You’re all done! 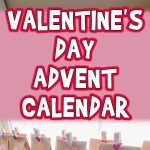 Now you can add a ribbon to these to hang them from the ceiling or windows, or you can use them to decorate a Valentine’s Day card box. 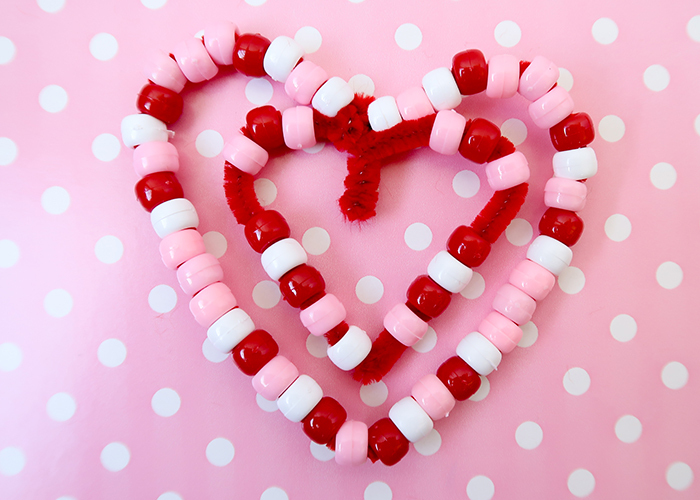 I hope you enjoyed learning how to make these Valentine’s Day Beaded Hearts with me!